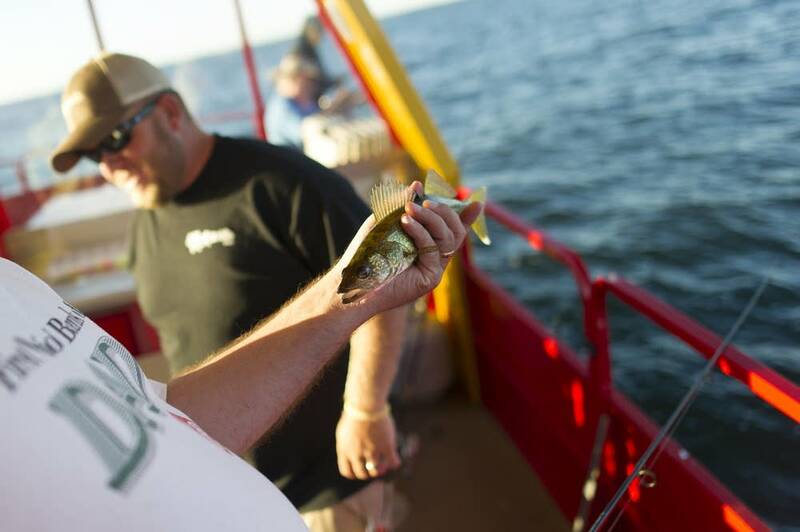 Updated: 6:51 p.m. | Posted: 11:25 a.m.
State officials said Tuesday they'll shut down Lake Mille Lacs to walleye fishing for three weeks in mid-summer, in addition to another season of catch-and-release, to help rebuild the fishery. The restrictions became necessary after a higher than expected harvest during the winter fishing season, according to Department of Natural Resources officials. "Ice anglers fished more on Mille Lacs in 2017 and caught more and larger walleye than expected," Don Pereira, DNR fisheries section chief, said in a statement. "As a result, ice fishing this winter accounted for about one-third of the total amount of walleye state anglers can harvest from Mille Lacs in 2017." DNR officials say they're shutting down the lake to walleye fishing from July 7 to July 27 to reduce "hooking mortality" — the death of fish that occurs after they're released. The lake will remain open to northern pike and muskie anglers during the ban on walleye. "The plan is for this closure to coincide with the hottest part of the summer when released fish are vulnerable to stress," Pereira said. "Warm water combined with July's higher fishing pressure means that more fish die — even those that are caught and returned to the water." During the last two weeks of July 2016 alone, hooking mortality accounted for more than half of the state's walleye harvest allocation for the entire open water season, according to the DNR. The walleye season is scheduled to run through Labor Day, Monday, Sept. 4. That's the same weekend the state ended the season last year, although that decision came in August after anglers exceeded the state's allowable harvest earlier than anticipated. "Our goal is to have the longest fishing season possible while ensuring the conservation of the lake's future walleye spawning stock," said DNR Commissioner Tom Landwehr. "We understand catch and release is a difficult option for anglers who enjoy a fish meal," he added. "But we are using everything in our management toolbox to ensure a healthy and plentiful walleye population for future fishing seasons." The new restrictions are unwelcome news for resort owners on Mille Lacs who depend on walleye fishing to draw tourists. Linda Eno, owner of Twin Pines Resort, said the three-week walleye closure in July will hurt business owners because it comes at one of their busiest times. "Just when you think you've hit rock bottom like the last two summers with the closure and don't think it can get any worse, this schedule pops up," she said. Eno said she worries that the negative publicity will hurt business and cause tourists to steer clear of Mille Lacs. "People are going to freak out. They'll be cancellations. They'll be confusion. They'll think they still can't come in August," she said. "I mean, how much more can we take as an economy? There are already over 50 businesses gone around that lake." State officials say they know the restrictions have an impact on anglers and business owners, but they add that there are many reasons for people to visit Mille Lacs other than walleye, including smallmouth bass and muskie fishing, state parks, golf courses and resorts. Terry McQuoid, owner of McQuoid's Inn and a longtime fishing guide, disputes the DNR's research and how it calculates the number of walleye in the lake. "Last summer we were catching a huge amount of fish," McQuoid said. "Forty to 75 fish per trip was not at all uncommon. And you can't have that good of fishing without there being a lot more fish than what the DNR is claiming." Pereira said the DNR uses several different sources of information to gauge the health of the lake's walleye population, including gill netting and electrofishing. All are indicating higher than normal levels of fish mortality in the first three years of life. "So we have three different sources of information that are all telling the same story," Pereira said. "We cannot deny the fact of what's going on with the walleye population in the lake."